Improving patients’ quality of life, reducing healthcare costs – long-term improvements in the situation of chronically ill patients can have major benefits. BKK Deutsche Bank has achieved impressive gains here by providing intensive telephone support. Udo Mainz, Assistant Director of the Benefits Department at BKK Deutsche Bank AG, has been responsible for disease management programs (DMPs) for the last 15 years. 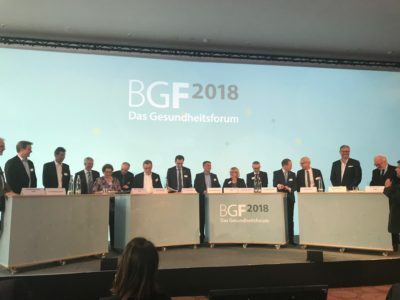 The statutory health insurance fund is a pioneer in this field in Germany; at a very early stage, BKK Deutsche Bank began looking at structural treatment programs for chronically ill members and policyholders – such as those with diabetes or breast cancer – that had been successful in the USA. They initially launched the projects at a local level and ultimately expanded them to all of Germany. Personalized telephone support for patients was always the focus – in 2002, German policymakers decided to start using these programs. “We’ve been working with the DITG since October 2015. It was a logical decision for us, because we wanted to take another innovative step forward in the field of structured disease management programs, toward telemedicine,” Mainz explains. Discussions with diabetes expert Prof. Martin followed; he provides scientific support for the project. The joint project between BKK Deutsche Bank and the DITG, TeleMedDia+, launched in January 2016. This self-help program provides the statutory health insurance fund’s members and/or policyholders, aged 18 to 67, with technical aids such as a pedometer, scale, and blood glucose meter and gives them coaching by telephone to help them live a healthier lifestyle. The devices, which the statutory health insurance fund makes available to the participants free of charge, automatically transmit the data they record to the online portal. Participants receive 14 to 18 consultations per year, depending on their medical history, weight, diet, and actual exercise habits. Very few participants leave the program before the year is up; new diabetes patients are joining all the time. “A decisive factor in the success of the program is the e-health portal TeLiPro, which records vital statistics in real time and provides progress reports and customized intervention plans. Data protection is obviously very important to policyholders. The DITG coaches have a close, trusting relationship with patients; the insurance fund does NOT receive any personal data about the patients. They only see average data to measure the success of the program,” assures Project Manager Berger. The stakeholders involved in the DMP have access to patient data, allowing them to stay up to date – as long as the patient provides consent. This allows for more targeted consultations. The outlook is positive for diabetes patients who have participated in the TeleMedDia+ project for one year. The DITG and BKK published their results in late 2017: On average, participants lost 6.5 kg (−2.1 kg/m2 BMI) and reduced their HbA1c level by 0.6 percent – many of them achieved exemplary levels of under 6.5. Additionally, 25 percent of all participants experienced diabetes remission. Patients who want to continue with the program after one year – nearly 60 percent – will become part of a “light” version of the program, with less intensive support. Stable participants who made lasting changes to their diet, exercise habits, and more and who continue to work on themselves independently were “released” from the program. “The personalized telephone consultations, which took my living situation into account, helped me understand a lot of the causes and connections surrounding my illness. At the same time, the phone appointments helped motivate me to become more active. I listened to the dietary recommendations and tried to implement them to the extent that I could; I tried to be more mindful of my eating habits. The support was very good; my coach worked around my personal situation,” says Karl-Friedrich Brosi of BKK DB. What are BKK’s plans for the future? Mainz says that they are in the midst of very constructive negotiations with the DITG and other partners. The successful ongoing TeleMedDia+ project will be carried over into an integrated care agreement. This means that policyholders will no longer need to contact their statutory health insurance fund regarding the program; instead, they can speak to a person they trust, like their general practitioner or a specialist. This will likely lead to more people registering for the program. “The project would doubtless be of interest to other statutory health insurance funds. The DITG is primarily responsible for the telemedical project, but tends to stay in the background. 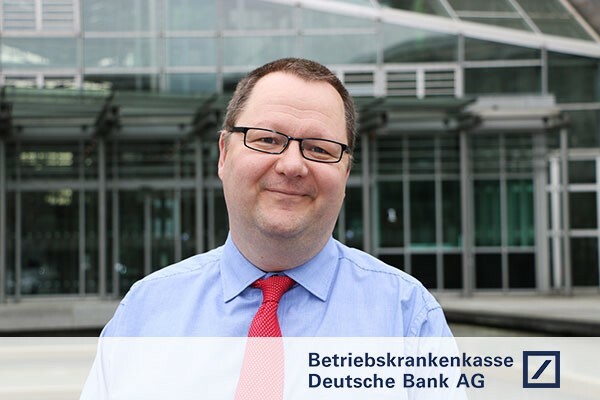 Our statutory health insurance fund also offers other innovative approaches that our policyholders love, such as scheduling appointments with doctors, processes for getting a second opinion, etc.,” says Mainz, who says he has found his “dream job that brings value to people’s lives” at BKK Deutsche Bank. 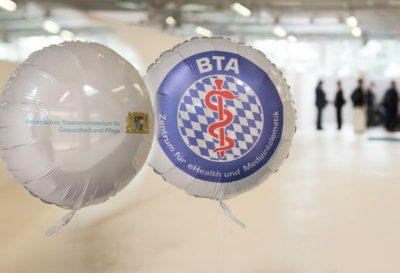 Thrilled with the success of TeleMedDia+, a valuable complement to DMPs: Udo Mainz is the Assistant Director of the Benefits Department at BKK Deutsche Bank AG. The project was also presented at the Diabetes Congress in Berlin in May 2018.